Bleaching your hair blonde from burgundy can be tricky, often producing brassy, unpredictable results. This is especially true if you are bleaching over previous hair coloring attempts. If you have dyed your hair blonde from burgundy and are experiencing results such as brassiness, a "calico" banding effect or hair that's too light or dark, there are a few things you can do to correct the problem. This is the easiest and most effective method of color correction. A professional stylist will be able to assess the damage and come up with the best solution. If the hair is patchy, trying to bleach out the dark spots in your hair can cause severe breakage in your hair, or create even more spotting. If your hair has an unwanted "calico" look--hair with brown, black, yellow and white patches--always get it fixed by a professional. This patchy result is usually the effect of bleaching already damaged hair, uneven application of bleach or bleaching over previously dyed hair. If you have colored your hair and have not given it the proper time to fade out, bleaching can cause a "calico" or banding effect. 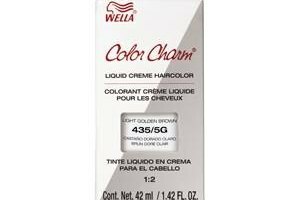 Permanent hair color takes about five to six weeks to fade, while semi-permanent dye only takes between four to six shampoos to completely wash out. Another way to avoid the "calico" effect is to use a hair color remover before bleaching such as Color Oops or Conair ColorFix. Brassiness after bleaching is common, especially if you are lightening the hair up from a red tone such as burgundy. When the bleach is in your hair, you will notice your color going through a series of stages. The hair will lighten to a yellowish-orange, then a pale yellow and finally, very light yellow. Very rarely will you be able to bleach burgundy hair platinum with just one application of bleach. If your hair looks brassy--meaning it has an orange or coppery hue--you can neutralize the effect by using what is called a toner. Toner is vital when bleaching your hair, and should be used every time you lighten your whole head. You can purchase toners with blue, purple or white tints from any beauty supply store, or you can use a semi-permanent hair color. Semi-permanent hair color is a great toner because it contains less than 10 percent of peroxide; this means it won't damage your hair too much after bleaching. When buying a semi-permanent color to tone brassy hair, look for light blonde colors with the word "ash" in them. Ash is a cool tone, and will help neutralize the warm tones in your brassy hair. If you want a more golden look to your blonde, purchase a neutral or golden light blonde to tone. When applying the toner, only put it on the areas of your hair that are brassy. To avoid getting the toner on unaffected areas of hair, coat the non-brassy strands with conditioner before applying the toner. Although it is unlikely that your hair will go too light when bleaching out burgundy, it can occur if you do use a color remover before bleaching. In this case, simply deepen the blonde effect by applying a permanent dark blonde hair color in the ash or neutral shade of your choice. It's a good idea to condition your hair before applying a permanent hair color after bleaching, since coloring over bleach with permanent dye can damage the hair. If the color is too dark, you can brighten your shade by using a toning color gloss. This will not only fix the dull hue, but it will also give your hair a lot of shine. If your hair turned out significantly darker than you wanted, you probably needed two sittings of bleaching. You can either go to a stylist to avoid more damage, or you can wait about a week and repeat the bleaching process. Vigorously condition your hair during that week to prep the hair and avoid further drying or breakage.